Congratulations on being admitted to Hamilton’s Class of 2023 in the most selective year on record (16% acceptance rate). It is our hope that you will fully explore Hamilton before you make your final decision. In your accepted student portal, you’ll find unique content for accepted students, and we encourage you to spend time there. Visit Hamilton during Accepted Student Open House and Accepted Student Visit Days. Watch videos on our YouTube channel for more about campus life. See a timeline of key dates for first-year students. Ultimately, we hope you choose to attend Hamilton — after all, we wouldn’t have accepted you if we didn't want you here! Once you’ve made your college choice, please notify us of your decision, and no later than May 1, 2019. Contact students or admission and financial aid officers. We hope to see you on campus over the next few weeks as you make your decision. Choose from our Accepted Student Open House on April 15, Accepted Student Visit Days, and Overnight Visits. Can’t make it to campus? Be sure to check out our virtual tour. 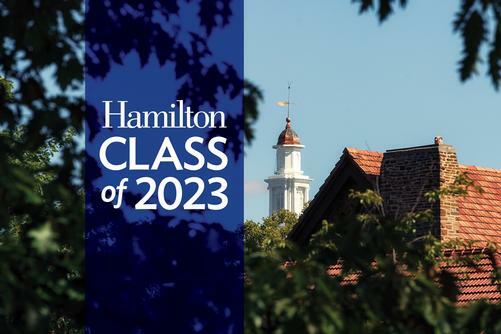 Join the Class of 2023 on Facebook and follow @hamiltoncollege on Twitter, Instagram, and Snapchat.